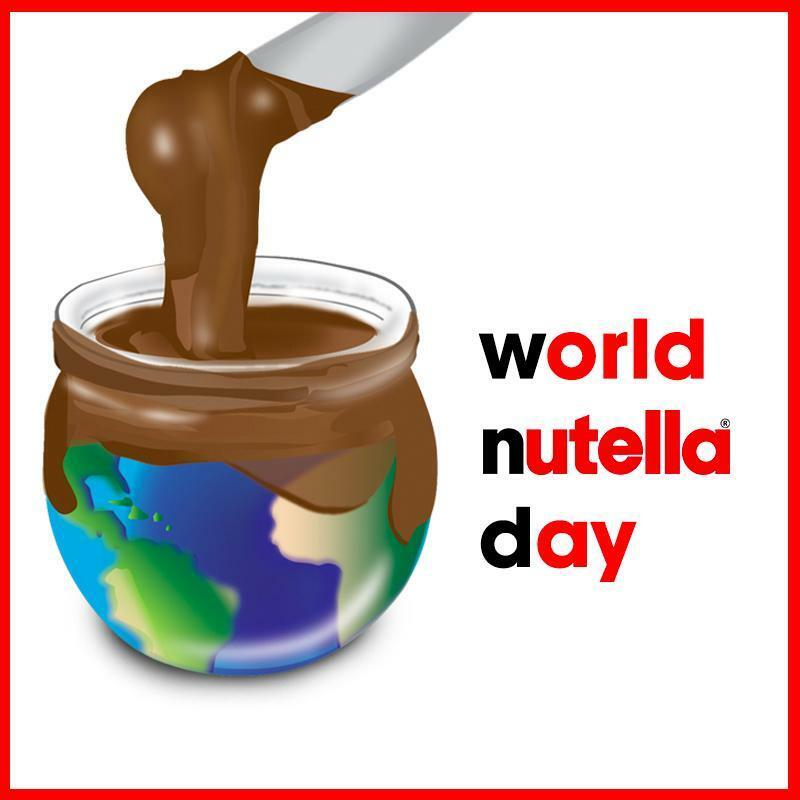 I bet right about now you are asking yourself if someone actually created a World Nutella Day? Well, the answer to that question is yes. Sara Rosso, an American blogger living in Italy, did. She founded World Nutella Day on February 5, 2007, and Nutella fans loved it! 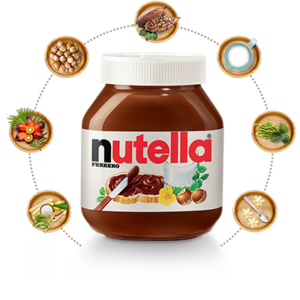 They came together to celebrate their passion for Nutella on social media through photos, recipes, poems, and messages. Nutella’s home-base is the Ferraro factory in Northern Italy. If you ever travel to Italy, one of the things you can’t help but notice is Nutella is everywhere. 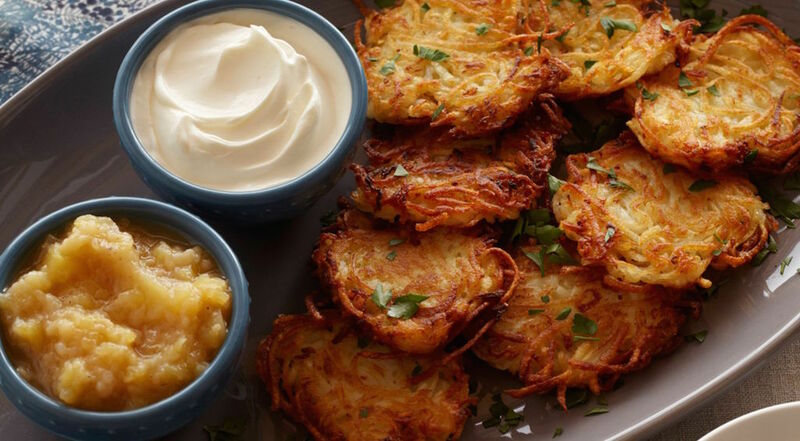 In honor of World Nutella Day, we found this delicious, simple recipe on Shannon Sarna blog, “The Nosher”, that we know you will love. 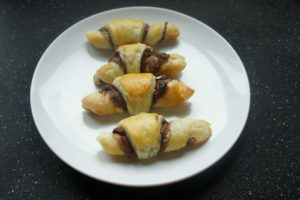 There are only 3 ingredients in the Nutella Rugelach recipe. You can make flaky, sweet, indulgent rugelach for your next Shabbat dinner, brunch or just because you need something with your afternoon cup of tea, within 30 minutes. Thaw your puff pastry overnight, or for an hour out on the counter. Take each sheet of puff pastry and spread with filling, leaving 1/4 inch border. Cut puff pastry in half lengthwise. Then cut 6 squares. Cut each square into two triangles. Working from the longer end, roll up each rugelach and place point side down on baking sheet lined with parchment or a silpat. Place in freezer for 15-20 minutes, until firm. Preheat oven to 375 degrees. Beat one egg in a small bow. Brush each rugelach with egg wash. Top with cinnamon sugar if desired. After rugelach have firmed up, brush with egg wash. Bake for 16-18 minutes.